Automotive brand Honda is staging a pop-up food and music experience as part of its Civic Tour, an annual music festival taking place across North America. This year's Honda Civic Tour, in collaboration with multi-platinum band OneRepublic and featuring special guests Fitz and the Tantrums and James Arthur, is adding the new Civic Tour City Flavor pop-up food and music experience at select Civic Tour concert venues. Now in its 16th year, the tour kicked offer earlier this month (7 July) and includes dates in Detroit, Virginia Beach, Philadelphia, Hartford, Dallas and Los Angeles, as well as in Anaheim at the Honda Center on 2 September. 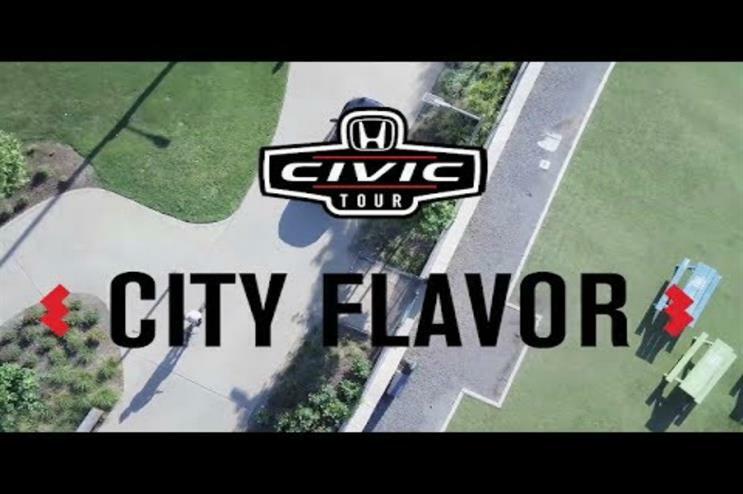 As part of the Civic Tour City Flavor, music and culinary fans everywhere can follow exclusive backstage livestream of Civic Tour City Flavor content featuring some of the most infamous food trucks and local cuisine of some of America's beloved cities via Honda Stage social channels. Civic Tour City Flavor will include appearances from chefs, OneRepublic, Fitz and the Tantrums, James Arthur as well as YouTube singer-songwriters and social media stars. Civic Tour City Flavor's first stop was in Detroit at the DTE Energy Music Center earlier this week (19 July), with further stops planned in Washington DC, New York City, Boston, Seattle, San Francisco, Phoenix, Los Angeles, Denver and Dallas areas. OneRepublic's Ryan Tedder said: "We've always really loved immersing ourselves in the cities we travel to. We came up with the Honda Civic Tour City Flavor promotion as a way to combine our love for music and food. We can't wait to bring some of the best food trucks chefs in the country backstage to our shows for our fans, our crew and us to enjoy." Throughout the duration of the tour, fans will also have the opportunity to enter in the Honda Civic Tour Sweepstakes to win multiple experiences, including chance to fly out to Los Angeles to see OneRepublic live on the Civic Tour courtesy of Honda Financial Services. Honda created a Challenge Lab experience at this year's Goodwood Festival of Speed and also worked with agency Avantgarde to showcase the future of electrified vehicles at the Geneva Motor Show, held in March.